Here in East Alabama, several cities have passed laws that allow Sunday alcohol sales. Anniston, Jacksonville, Piedmont, Lincoln, Riverside, Pell City, Gadsden, Southside, Rainbow City, and other cities allow businesses to sell alcohol on Sundays. But, there is one large city left out, and that is the City of Oxford. While mostly all other cities around Oxford allow people to purchase alcohol on Sunday afternoons, somehow Oxford, still in 2018, does not allow businesses to sell alcohol on Sundays. And this has become a pretty big issue. Tonight, there is a town hall public hearing at the Oxford Civic Center starting at 6:30 pm. At this public hearing, the city Council will allow anyone for or against Sunday alcohol sales to speak for up to two minutes. Since I don’t own a car, I can’t go to this. 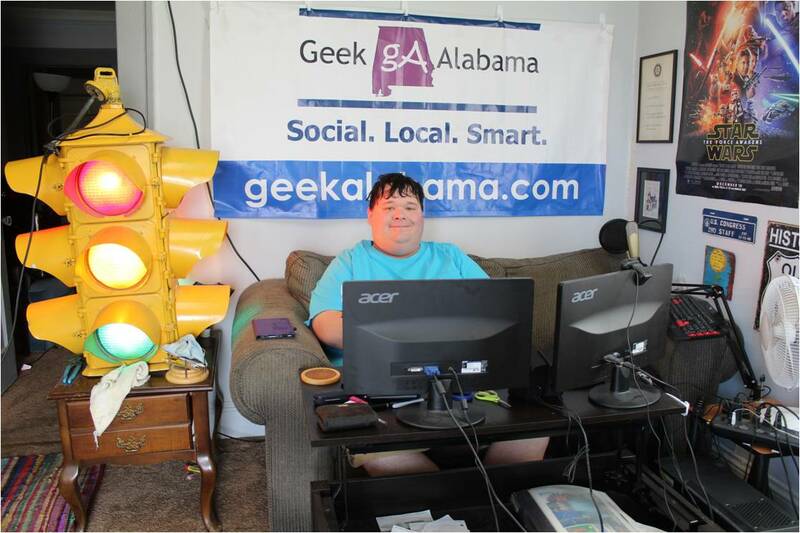 But, I do run a very popular blog called Geek Alabama. And on this post, I am going to highlight four reasons why Oxford should join the 21st century, quit listening to those church folks, and finally allow businesses to sell alcohol on Sunday. Everyone knows many malls across America are struggling. And that includes the Quintard Mall in Oxford. Currently, the mall is about 50 percent empty. The city of Oxford is wanting to help to redevelop the mall property. But here is one thing, if the mall want to see new tenants, one thing is standing in the its way, and that is the lack of Sunday alcohol sales. Think about it, the days of shopping at brick-and-mortar stores is getting closer to being a thing of the past. To redevelop malls, you must bring in businesses to allow people to have an experience. And that includes new restaurants, of the sit-down variety. Because Oxford does not allow Sunday alcohol sales, not one national chain restaurant is currently considering moving the Oxford. Heck, not even a local citizen is considering to open a restaurant. Want to know why, it’s because Oxford bans Sunday alcohol sales. In this era of tight margins, a loss of 10% could mean the restaurant shutting down. Restaurants need all the revenue they can get, and that means they need Sunday alcohol sales. Without it, you might as well not even bothering to redevelop the mall. This is a no-brainer issue, every Sunday when Oxford bans all alcohol sales, people drive to the next city over, like Anniston, to buy beer and wine. Oxford is currently the biggest city along Interstate 20 between Birmingham and Atlanta that does not allow Sunday alcohol sales. Imagine how much money Oxford loses each month because of this stupid law. Sit down restaurants in Oxford bring in over $100,000 in tax revenue each month. A good example of this is Talladega race weekend, where businesses like Wal-Mart loses thousands of dollars because of Oxford’s stupid law. I would think Oxford would love to earn even more taxpayer money. I mean, you are getting more events at Choccolocco Park, more people are seeing shows at the Oxford PAC, and with Calhoun County wanting to become a eco-tourism hotspot, which includes more cyclists, people want to have a good time after they are done riding. Oxford continues to lose taxpayer money each month because of a stupid law. And here’s the thing, cyclists love to have a drink after they are done riding. If you go to other cycling hotspots, like the ones in Oregon or Minnesota, they allow alcohol sales every day. So all of Calhoun County risks losing out to potential visitors because of Oxford. It should not be that way! One thing Oxford is struggling on is the amount of restaurants in the city. Lately several restaurants across Oxford have shut down. From steakhouses, sub shops, sandwich shops, and others. Oxford has been steadily losing restaurants while other cities around them, like Anniston, have been gaining restaurants. No, I am not talking about the fast-food joints, I am talking about the sit down restaurants that you sit down and a server takes your order and delivers your meal. One restaurant in Oxford, Mellow Mushroom, is losing thousands of dollars per month because they can’t sell alcohol on Sundays. In fact, the pizza restaurant sees people walking out the door every Sunday when they are told alcohol cannot be served. Another restaurant, The Gridiron, is thinking about closing on Sundays and reducing their hours because they can’t serve alcohol on Sundays. And there are other restaurant chains, like Buffalo Wild Wings, that want to come in Oxford, but will not until Oxford allows Sunday alcohol sales. Get the idea, a lot of the best locally owned sit down restaurants in Calhoun County are not located in Oxford. You have to go the Anniston, Jacksonville, Gadsden, Pell City, and other cities to enjoy a great sitdown meal. It’s long past overdue for Oxford to allow people to vote on Sunday alcohol sales, and after it passes, get new sit down restaurants to locate into Oxford. Think about it, no adult likes being told what to do by someone else. Over the years, lots of wacky laws have been overturned because it was just common sense. 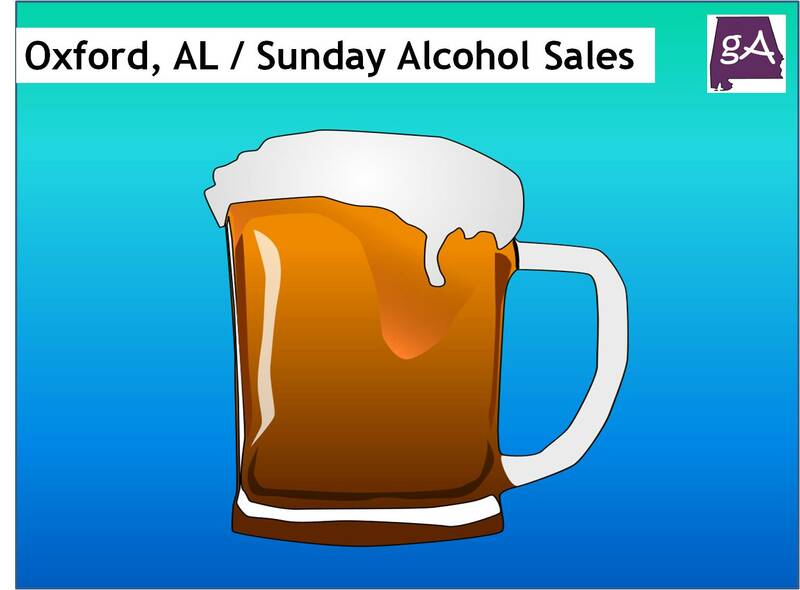 Many cities and counties across Alabama have either allowed alcohol sales, or expanded alcohol sales to Sundays. Some on the Oxford City Council continued to listen to several people such as church leaders, that keep saying that it’s okay to tell others what to do, and to not be allowed to sell alcohol on Sundays. It does not make sense. First of all, lots of people do not want to be told what to do by a powerful few. And around here, several church leaders are pretty powerful people. The church leaders need to understand that it’s not okay to tell me or someone else that you should listen to their viewpoints and be forced to not be allowed to do something. This is a big reason why I do not go to church. Anyways, I hope the church leaders understand that earning a living is more important than listening to them. Let people do what they want to do. If they want to buy beer wine on Sundays, they should be allowed to do that. End of story. I am sure the comments tonight at this public hearing are going to be interesting. Hopefully the Oxford city Council, and the ones who don’t support Sunday alcohol sales, will have a change of heart, and allow the public to vote on this. Because I guarantee if the city allows the public to vote on Sunday alcohol sales, it’s going to pass. It has in many other cities that have already done it. It’s time for Oxford to join the 21st century. It’s 2018, allow people to do what they want to do, it’s that simple.